There was a plethora of adorable photo moments from the 2018 Royal Wedding on Saturday, May 19, including an image of Princess Charlotte sticking out her tongue and the boys making faces in the car before Meghan Markle’s grand entrance at St. George’s Chapel, but only a select few will be truly solidified in history. 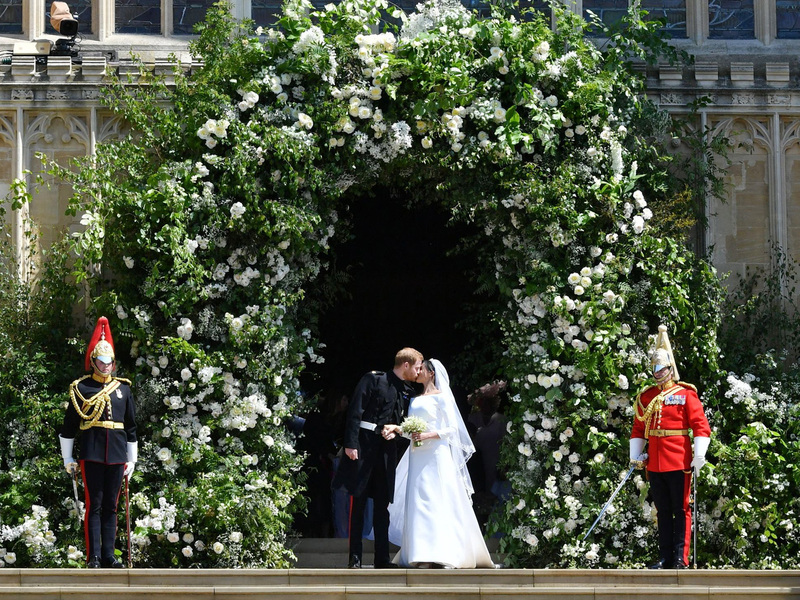 Here, the editors of The Knot round up five photo moments from the nuptials at Windsor Castle that will likely withstand the test of history. 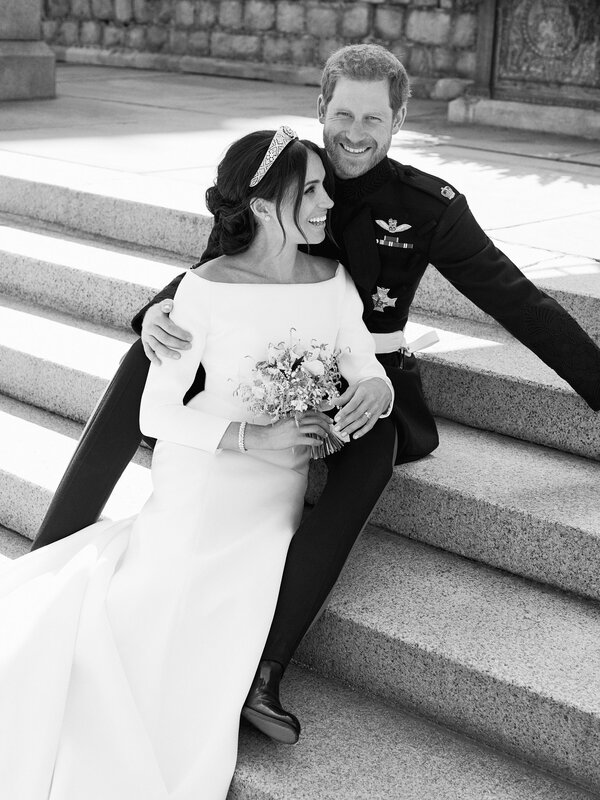 This black-and-white photo taken by famed fashion photographer Alexi Lubomirski will likely be immortalized in history due to the genuine nature of the couple’s body movement. The image was taken right after the couple’s carriage ride and it shows how genuinely comfortable and happy they are to be with each other, and even to share this quiet moment together away from their many guests. While the pair didn’t kiss in the church itself, the newlyweds exchanged a sweet kiss immediately after stepping out of St. George’s Chapel, instantly offering up yet another iconic moment from their wedding day. The kiss was beautifully framed by l floral archway framed the couple as they exited the historic church. 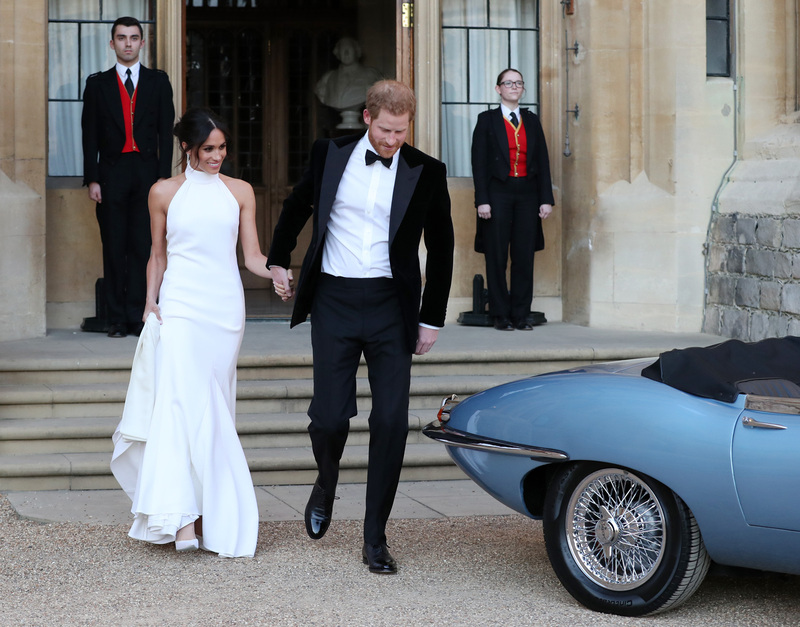 Fans of the royal couple got the first look at Markle’s evening reception dress, which was far less formal than her stunning gown by Givenchy. Fans were provided a glimpse–a brief look at the couple’s whirlwind and star-studded night ahead. They were able to imagine Meghan and Harry gliding throughout the room to graciously and warmly welcome their closest family members and friends (200 to be exact) at the Frogmore House in Windsor. Finally, there was sentimental value as Markle chose to wear the late Princess Diana’s blue ring as her “Something Blue” to the reception itself. There’s something so moving about this near-candid image of the bride walking down the aisle solo before being greeted by her future father-in-law Prince Charles. 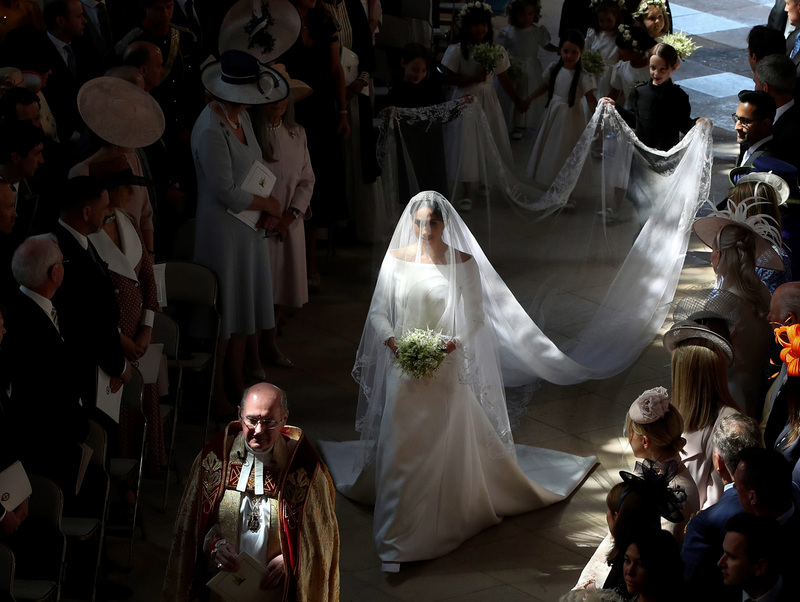 The lighting in the church offered up a romantic and powerful moment, revealing the strength Markle likely felt following the dramatic week before. 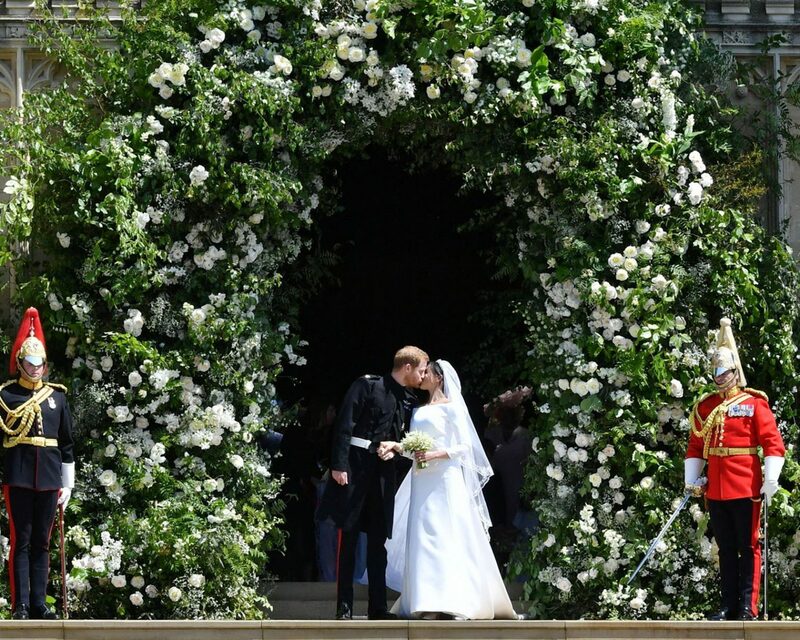 Each detail of the ceremony was well thought-out, including her veil, which featured embroidered flowers from each of the Commonwealth’s 53 member states. It’s a reminder of how ready she was to take on the responsibilities of being married into royalty. One of the most viral images from the wedding was an aerial shot of the newlyweds holding hands during their carriage procession ride. The moment was intimate in its feel with the couple’s body language presented as so comfortable. If you look closely, their bodies nearly form a heart shape. The photographer, Yui Mok, had a split second to capture this exact moment and the public is now lucky to have such an iconic snapshot. 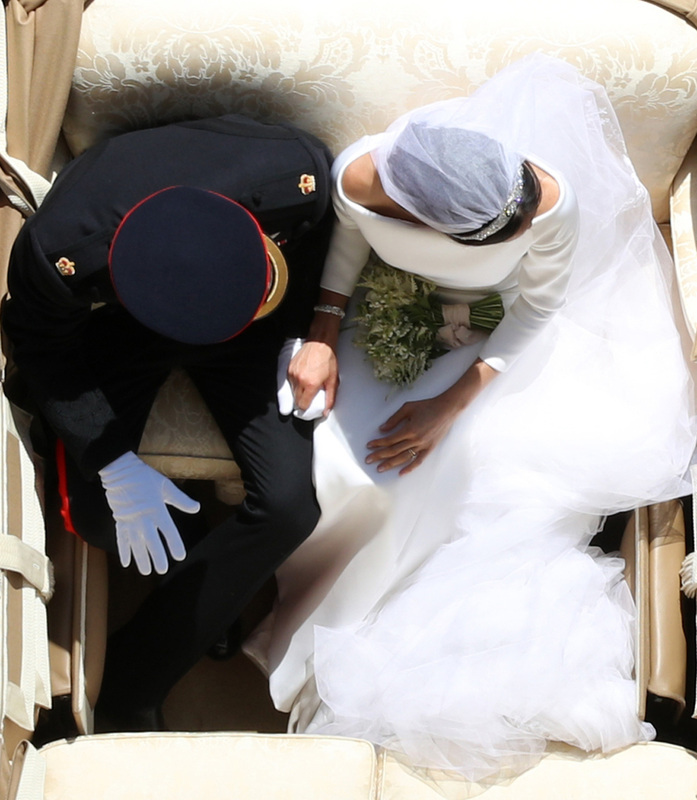 Be the first to comment on "The 5 Most Iconic Photo Moments From the 2018 Royal Wedding Including Their Aerial Carriage Shot"